"Located 20 kilometers away from Nalagarh, Ramshehar Fort is one of the most prominent heritage hotels in Himachal Pradesh. It is a series of palatial structures that are mostly constructed in Hindu and Mughal style of architecture. 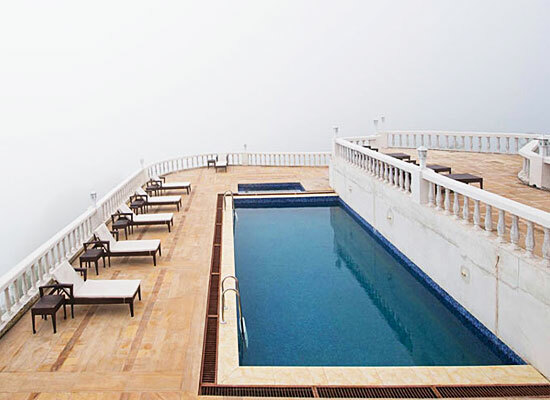 The fort is perched atop of a hillock amidst the mighty Himalayan Mountains and proffers panoramic views of the Shivalik Hills beyond the Sirsa River. Originally named as Ramgarh Fort, Ramshehar Fort was commissioned by Raja Ram Chander, who himself was a great architect. He is also responsible for constructing the town of Ramshehar in 1540 AD. The fort has a series of palatial structures that represents a fine blend of Mughal, Hindu and British architecture. Now, it is one of the prominent heritage hotels in Nalagarh. The Fort Ramshehar has 30 rooms all based on different regal themes. Guests are treated to a royal feeling to experience the bygone majestic splendor along with all modern luxuries. 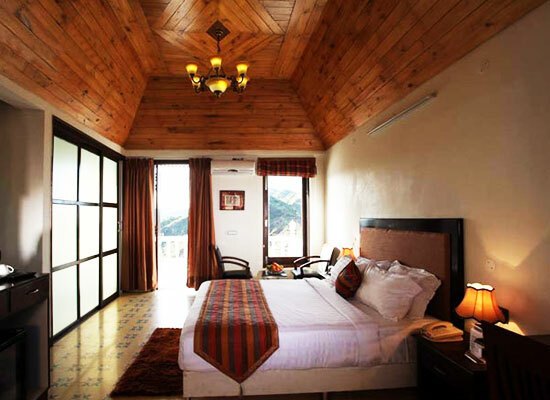 Rooms at the resort are designed to suit the needs of comfortable stay views of the forests, village and valley. All rooms have their own sitting areas opening to panoramic view where guests can relish the bliss of the hills. Housed in the Fort overlooking the deeply forested valley, the Maharaja Suite is the luxury lodging of the resort. The heritage suite has a drawing room, sitting area and balcony. The bedroom features a period four-poster bed, en-suite bathroom fitted with modern amenities and a twin Jacuzzi. In the grounds of the Maharaja’s Palace, The Fort rooms are a perfect retreat. Housed in various parts of the fort the rooms exude nostalgia of the past. The luxury rooms comprises of sitting areas and bedroom featuring a period four-poster bed. 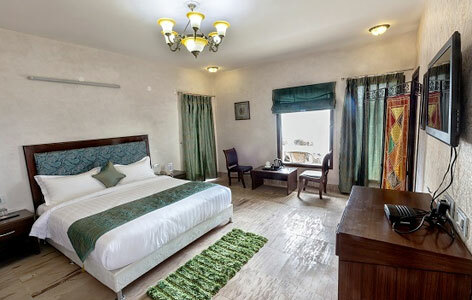 The Forest view suites comprise the luxury ambiance of the olden days reflecting the spirit of Ramshehar. The luxury suites consists of a bedroom with a sitting area and a bathroom with modern amenities for the comfort of guests. A garden/Valley View room are executive rooms which comprise of modern amenities tastefully concealed in the decor in Regency styles. The rooms enjoy view out to the central garden. The rooms consists of a bedroom with sitting area and bathroom. 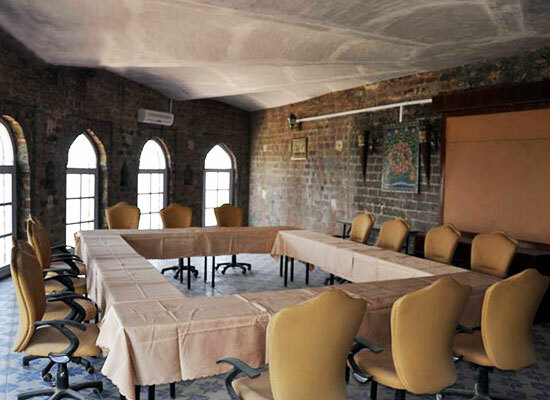 Housed in the Fort, the spacious regal rooms overlook the forested valley. The rooms are properly equipped with modern luxuries. They comprise of a sitting area, a bedroom featuring a period four-poster bed and a modern en-suite bathroom. The restaurant provides refined and delicate dishes to treat the bellies of epicureans. 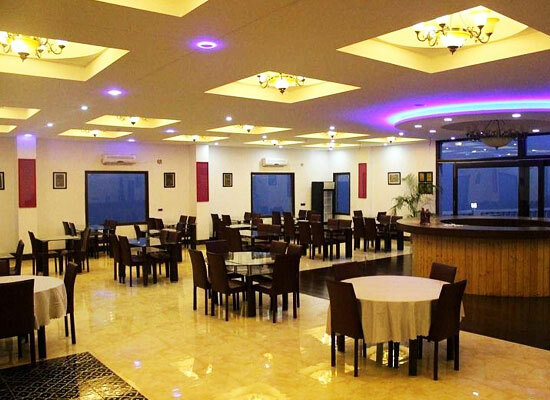 The restaurant offer traditional cuisines with a blend of vegetarian and non-vegetarian cuisines. There are special offers and provisions for Business Lunch, Wine Cocktails and Private Parties. The resort also has outdoor dining facilities to cater to the guests. The erstwhile capital of the kingdom of Hindur, Nalagarh in Himachal Pradesh was founded by Raja Ajay Chand in 1100 AD. The kingdom was ruled by the Chandela Rajputs and considered as the Gateway to Himachal Pradesh. It is located 300 kilometers north to the Delhi, 60 kilometers from Chandigarh, 40 kilometers from Kalka, and 20 kilometers from Rupar.